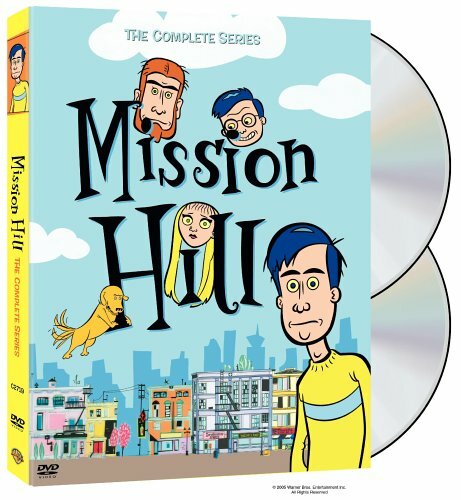 On November 29, 2005, Mission Hill: The Complete Series was released on DVD in North America. After years of having to settle for bootlegs and VHS recordings, fans of the show were finally able to have an official copy of the show to watch for years to come. The DVD set has different music in the episodes than the original broadcasts. This is fairly common on TV shows released to DVD. Every time a show uses a song by another artist, the artist has to be paid, often a substantial amount of money. So unfortunately, some songs have been replaced by generic music, or with silence. The animatics of the lost episodes that are now on the site were originally going to be included as an extra on the set, but at the last minute they were pulled out because of potential issues in paying the actors involved.